This is a really really simple recipe. 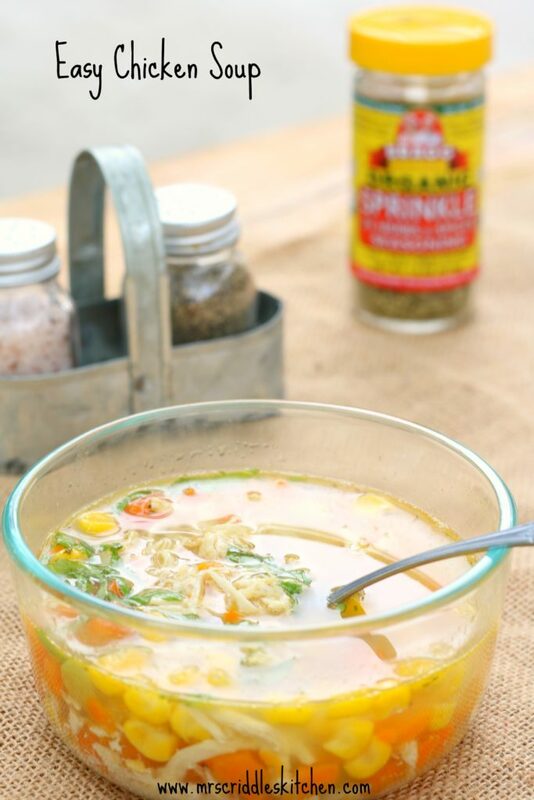 I wanted to show how the simple ingredients of just chicken, veggies and chicken broth can be turned into something magical by adding in a variety of spices, creating an amazing aroma of flavor! The base of this recipe is just three ingredients..
BUT… to make it something amazing, you have to add in your spices! This is where the recipe takes a wonderful turn! Now, there are sooooo many ways to make your own “spice concoctions”! I do this all the time. But my go-to, must-have seasonings are: sea salt or Mineral Salt, pepper, & garlic powder! Yep, that’s a must! I use this on everything! This is what I season our steaks with, our baked chicken with, beef, ground turkey, you name it! So if you have these three seasonings you are already ahead of the game. Next, I love to have a poultry seasoning… you can also make your own. But mostly the ingredients of poultry seasoning are: thyme, sage, garlic, rosemary, black pepper. If you are making your own just mix equal parts of the herbs and add half as much pepper. Now, for the exotic seasonings that make this dish so yummy… curry powder, ginger powder, turmeric. Wow, oh wow, do I love these flavors. I used to be scared of these. 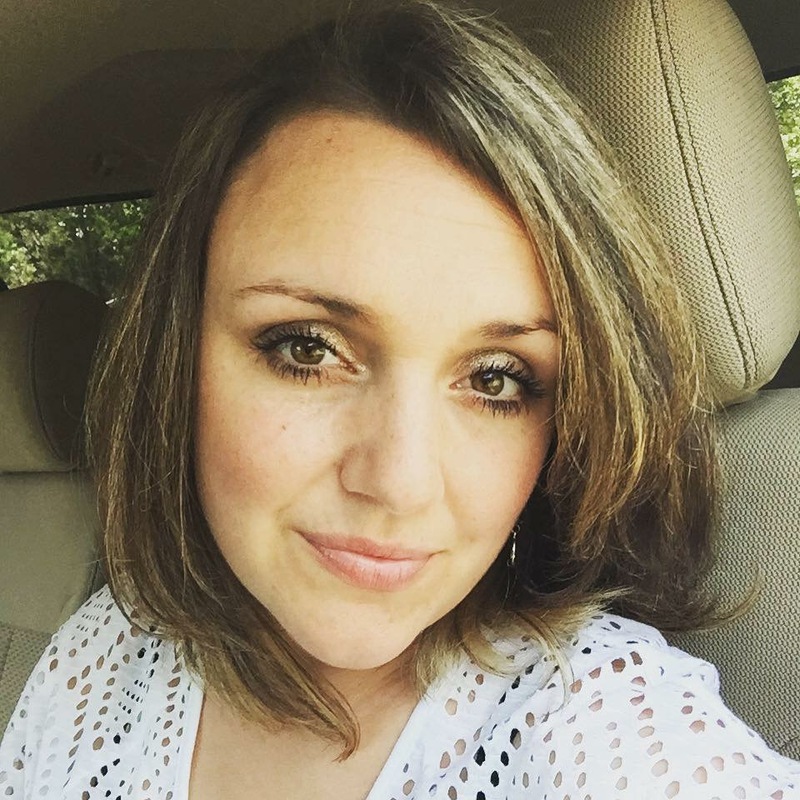 But when I became a Trim Healthy Mama and saw these ingredients being used… I dove right in. I am so glad I did! Curry gives such a wonderful exotic smell, it just takes you on a trip to India! Giving props to the ready-made seasonings… Bragg’s Organic Sprinkle 24 Herbs & Spices & Seasonings. I found this little lovely on Thrive Market. (If you are interested in GOOD QUALITY PRODUCTS that most stores don’t sell, go check out THRIVE MARKET. 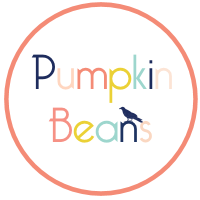 I’ve ordered some awesome ingredients/products from them.) I absolutely LOVE LOVE LOVE the Bragg’s Seasoning. I wish I had found this sooner. It’s just the perfect spices/seasonings/herbs in one little jar. I now use it on all my meals. BUT, you don’t have to have it to create a delish chicken soup. You can spice it up with what you have on hand. Experiment what your own seasonings! If you have a good base, like I mentioned above with salt, pepper & garlic, you can move on to more deep rich flavors by adding different spices! 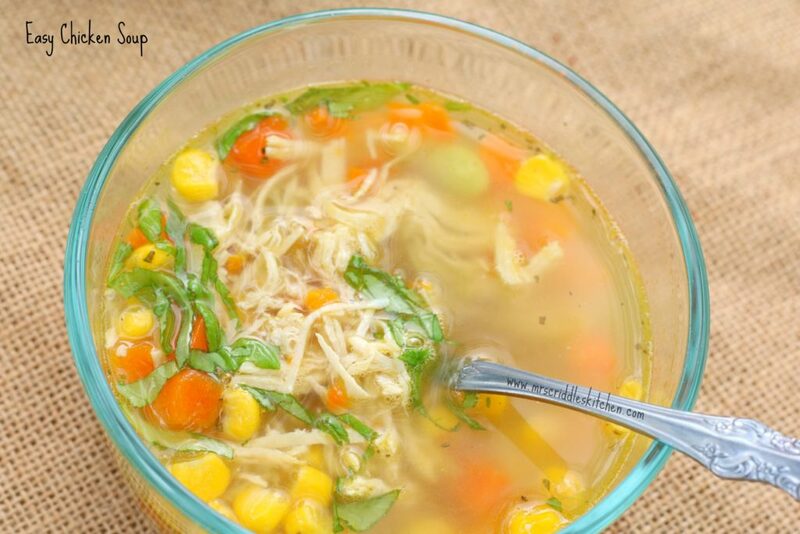 You can make this soup into an E by adding carrots, sweet potato or corn (like in my pictures). To make it an S, add in butter or cream or parmesan cheese. Try adding all the ingredients into a slow cooker on low for a comforting dinner! Also, if you use a organic chicken bone broth & add in some Integral Collagen this can be more of a healing soup! 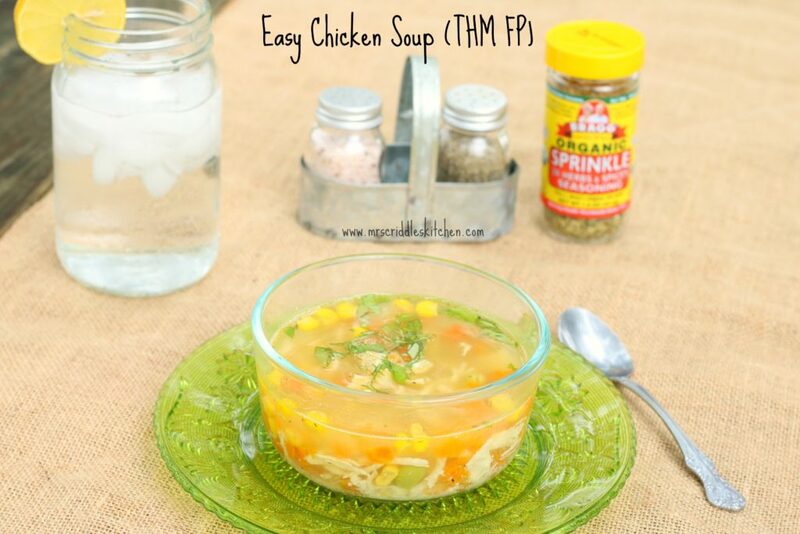 I hope you enjoy this easy chicken soup! 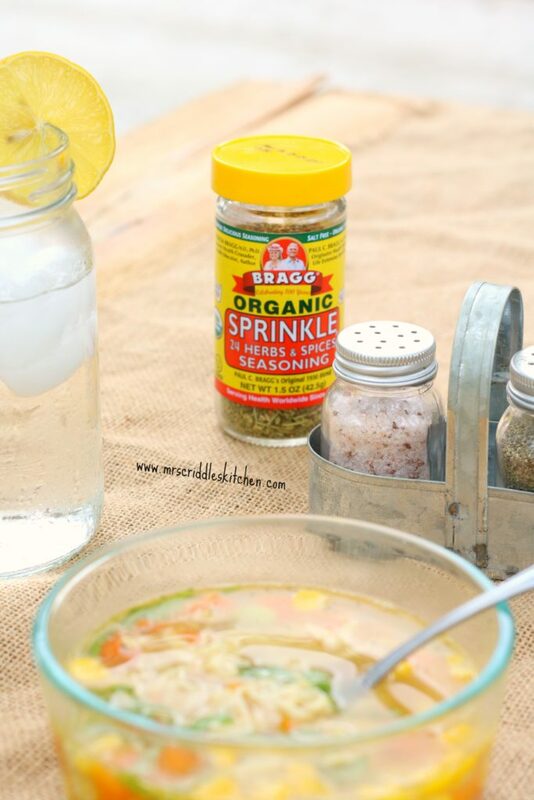 Bragg’s Organic Sprinkles 24 Herbs, Spices & Seasonings– THIS STUFF! THM Mineral Salt– using a good salt is a must! THM Integral Collagen– amazing stuff right here! Poultry Seasoning– I use poultry seasoning in chicken soups! Gives it such a comforting smell and delicious taste! Organic Curry Powder– I was once scared of this spice but now I am in love with it! Organic Turmeric Powder– Turmeric Powder has some amazing health benefits! Organic Ginger Powder– Ginger powder also has really good health benefits! Bai Bubbles Coconut– THIS is my favorite drink! Cute Soup Bowls– I have these bowls and love them! Wooden Soup Ladle– I love that this has a little hook to keep it on the pot not in the pot! Crockpot– owning a crockpot is wonderful! InstaPot– just got one of these… WOW! I cooked a tender BIG pot roast in 1 hour!!! Trim Healthy Mama Cookbook– not to toot my own horn but it’s kind of cool one of my recipes was included in this book! Trim Healthy Mama Planbook– yes, you know I love this book! A delicious easy flavorful chicken soup! *Optional- add fresh herbs to the soup. Cilantro or basil or fresh thyme are perfect. Add the broth and seasonings to a pot to simmer. If adding raw or frozen veggies put in pot right away to cook. Once they have cooked you can add in your cooked chicken. If using canned veggies, pour off the juice and place in the soup to heat up. Allow all ingredients to simmer together on low for 45 minutes. You can also do this in a crockpot or slow cooker! To make this an E soup you can add sweet potato, carrots, or corn. To make this an S soup add in a sprinkle of cheese, butter or even heavy cream. What about 2 chicken breasts and a can of black beans for protein. Would still be an S? What are the noodles in the picture? How would you do this in a crock pot. Can everything be added at beginning or would veggies be mush? I would just add it all at once. I don’t think the veggies would be mush.